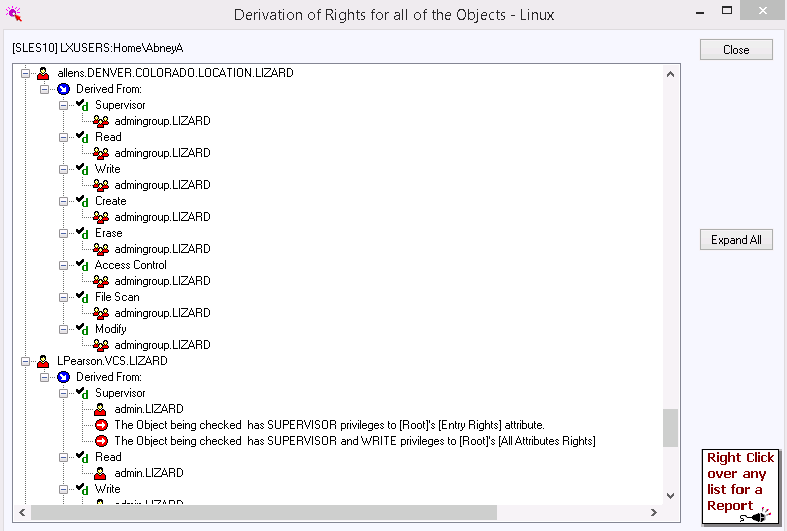 Easily document file and folder permissions Quickly see who has access to what. Create simple reports detailing the type of access users and groups have to your file servers' volumes, directories, and files. Reports are customizable and can include specific eDirectory attributes for each trustee, including their Title, Office, and Department. Effectively manage eDirectory - no scripting required! Fully customizable tools to suit your needs. 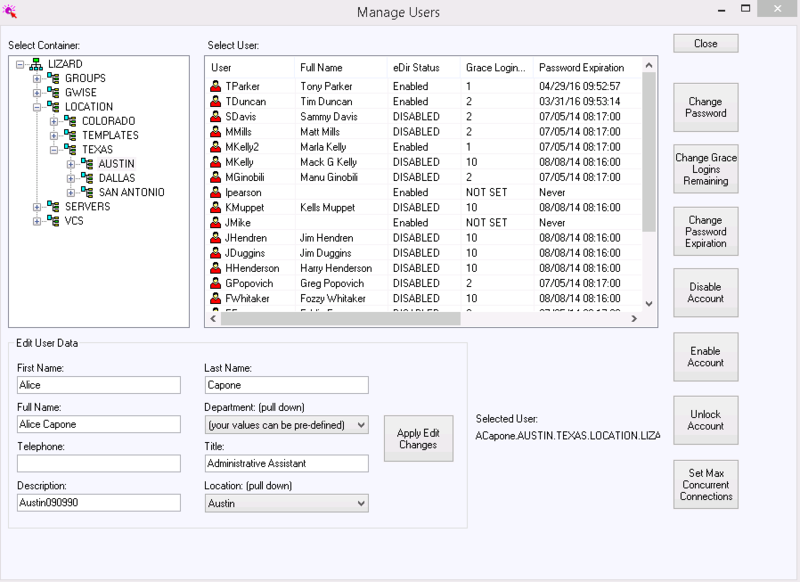 Allow non-admins to perform eDirectory management functions. 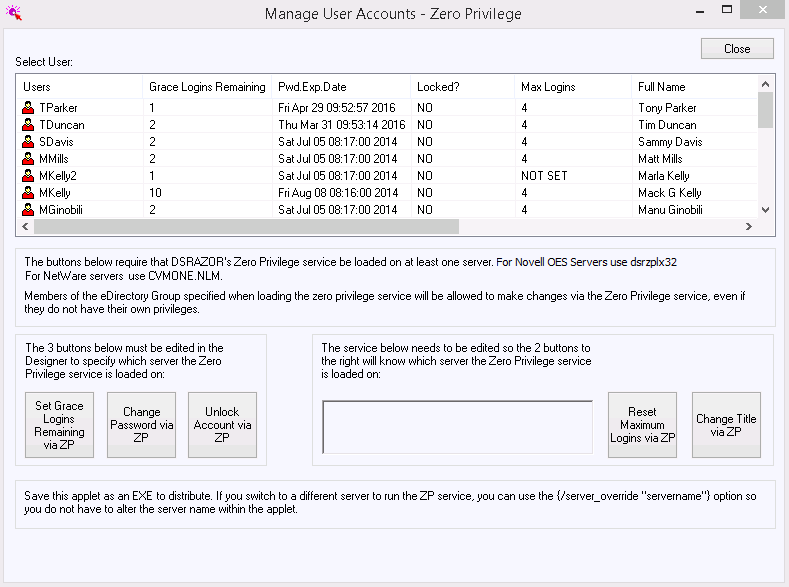 With the Zero Privilege Help Desk your help desk operators will no longer require admin-equivalent permissions. The Zero Privilege Help Desk enables your non-admin users to complete their work without compromising your control and security. The Zero Privilege Help Desk is compatible with all DSRAZOR for eDirectory management applets.